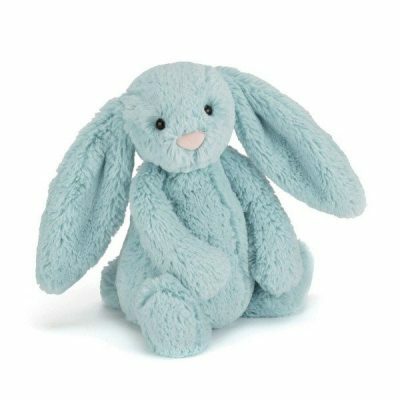 Super-cuddly and full of flopsiness, Bashful Aqua Bunny is a great cotside companion. 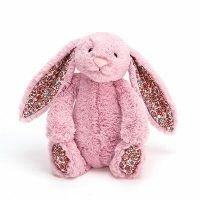 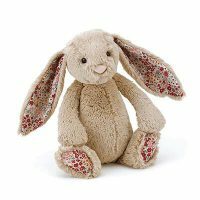 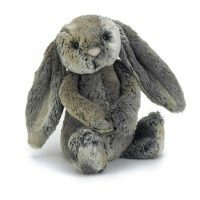 Amazingly soft and always ready to snuggle, he’s a lop-eared sweetheart who’s perfect for beddybyes. 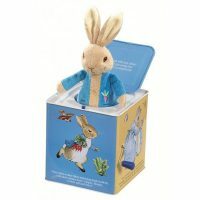 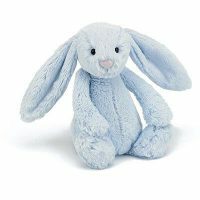 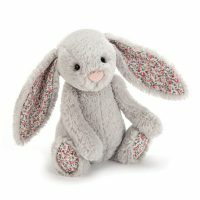 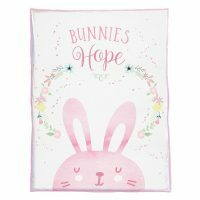 This delightful bunny is a wave of turquoise fluff which makes them the perfect seaside playmate.